It’s not very often one gets to meet one of one’s poetry heroes, let alone sit and have a chat with them, in public, but it’s happening! And in fact it’s already sold out. 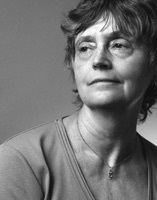 Alice Notley has been a source of inspiration for years. I think I might go black and blue from pinchIng myself. Thank you StAnza!